When it comes to educational Olympics, not one single country emerges as the overall literacy winner. In fact, countries across the globe have different standards when it comes to educating their youth. While the United States has 12 years of compulsory education, this isn’t necessarily the standard for the rest of the world. For instance, Germany requires 13 years of education while Angola only requires four. In 22 countries, at least half of the population is illiterate. 15 African countries have an illiteracy rate of 50 percent or higher. Interestingly, in Iceland, women earn more than two-thirds of college degrees overall. 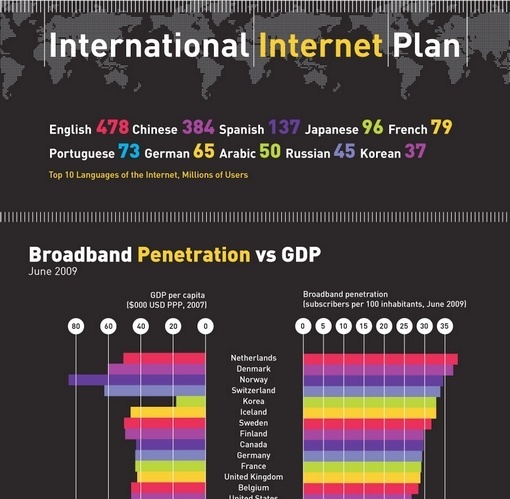 The top 10 languages used on the Internet include the most popular Internet language-English, with 478 million users. Chinese is the second most common Internet language, with 384 million users. Spanish is the third most common Internet language, with 137 million users. Japanese is number four, with 96 million users. French is number five with 79 million Internet users using it. Portuguese is number six with 73 million users. German is number seven with 65 million users. Arabic is number eight with 50 million Internet users using it online. Russian is number nine with 45 million Internet users using it. Korean is number 10 with 37 million Internet users. Like many companies, Google has made an effort to reduce its carbon footprint and to avoid negative impacts on the environment. The efforts of Google have made it one of the greenest companies around. 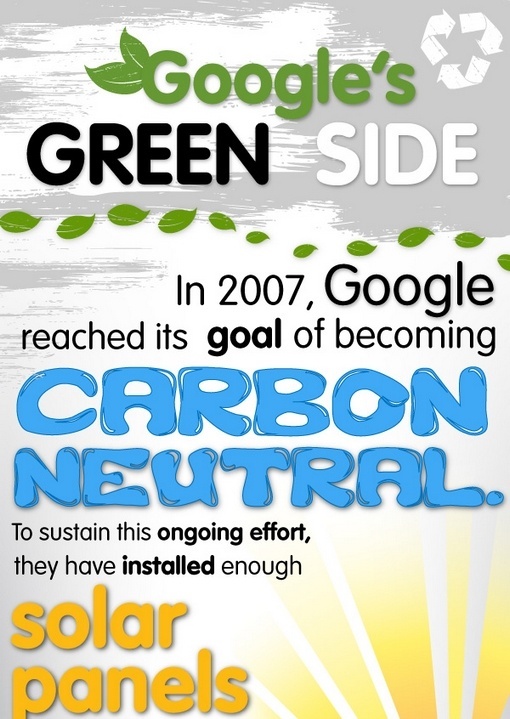 In 2007, Google reached its goal of becoming carbon neutral. To sustain this ongoing effort, they have installed enough solar panels to power approximately 1,000 average homes, which offsets 30 percent of peak electricity use for the facilities. Google shuttles are used by 1,470 employees. Google’s shuttles are fueled by B-20 biodiesel to get employees to work each day. These Bay Area shuttles take an estimated 660 cars off the road each year. 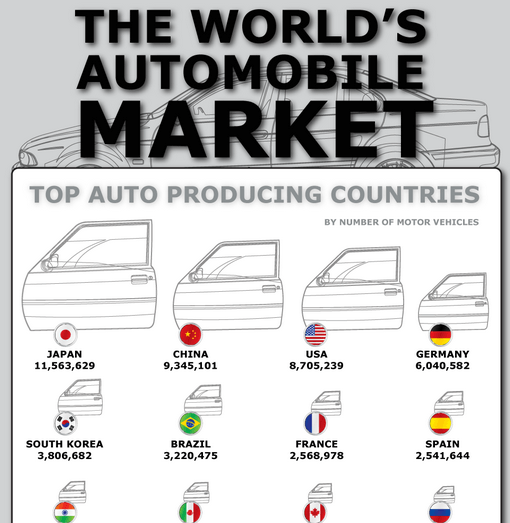 Japan still reigns supreme as the country that manufactures the most automobiles. And based on the country’s current production, it doesn’t look as if Japan is going to surrender this title anytime soon. That doesn’t mean that China, the United States and Germany are slouches. These countries, which rank second, third and fourth, continue to produce a significant number of automobiles each year, too. Japan produced more than 11.5 million vehicles in 2008. That gave the country a healthy lead on runner-up China, which produced more than 9.3 million vehicles. The United States, even with its down economy and domestic automaker problems, wasn’t too far behind China. The country produced more than 8.7 million vehicles in 2008. In 2004, cancer accounted for 7.4 million deaths – around 13 percent of all deaths – and this figure is expected to continue to rise, as it’s estimated by the World Health Organization (WHO) that in 2030, there will be 12 million deaths from cancer. 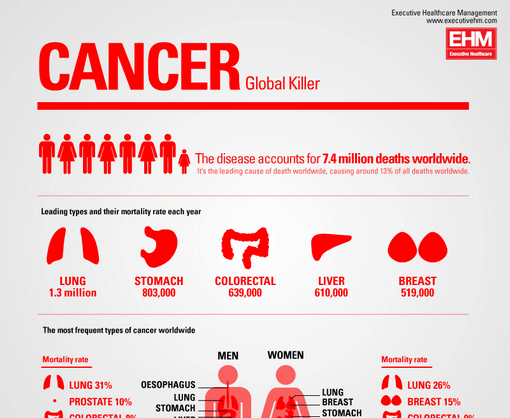 Of those cancer deaths, the most common is lung, stomach, liver, colon and breast cancer. 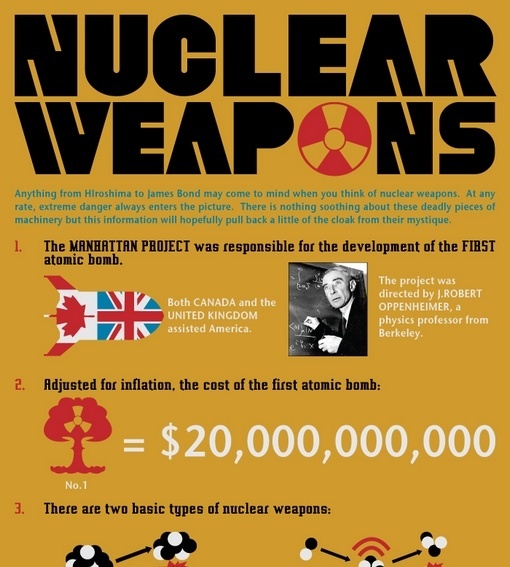 But what is even more shocking of all, is the fact that 30 percent of all cancers could be prevented.